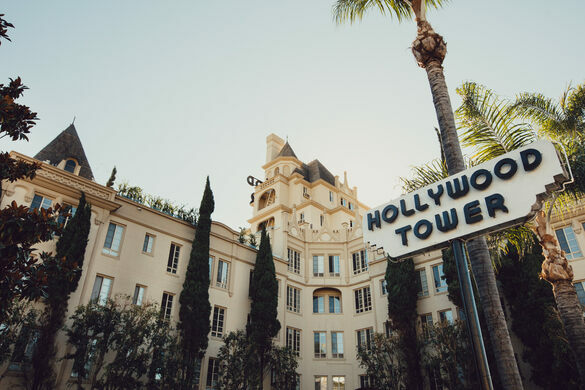 The Hollywood Tower Apartments have been a Hollywood icon since they opened in 1929. 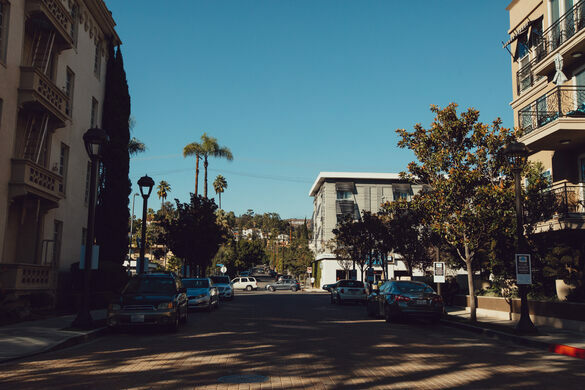 Architects Cramer and Wise created this French Normandy-style apartment building—originally called La Bell Tour—on a hill overlooking Hollywood’s main drag. 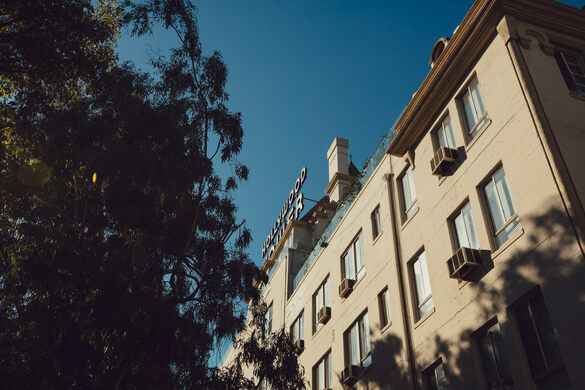 The building is synonymous with the “Golden Age” of Hollywood, having served as the residence of numerous industry luminaries, including Humphrey Bogart. Many actors and crew members from the Warner Brothers lot stayed or lived in there, since the lot was located nearby. Carmen Miranda got married in the building’s lobby. 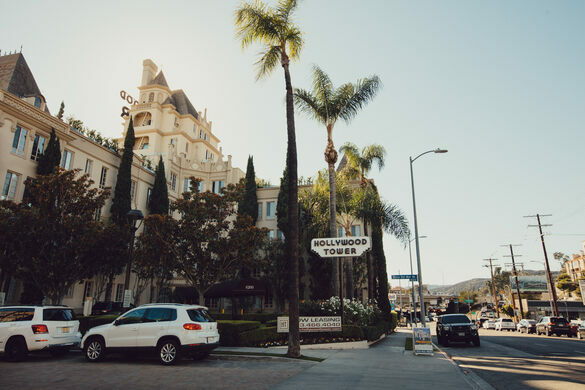 The building was featured in Brian De Palma’s 1984 thriller, Body Double, and the Tower is often cited as the inspiration for the Tower of Terror attractions at Disney parks.